Two weeks ago, Queen City Brewery (703B Pine Street, queencitybrewery.com) sprang to life in Burlington's South End after a lengthy incubation period. Helmed by a group of longtime home-brewers-in-arms, the space represents the culmination of two years' work, but the story goes back at least two decades. 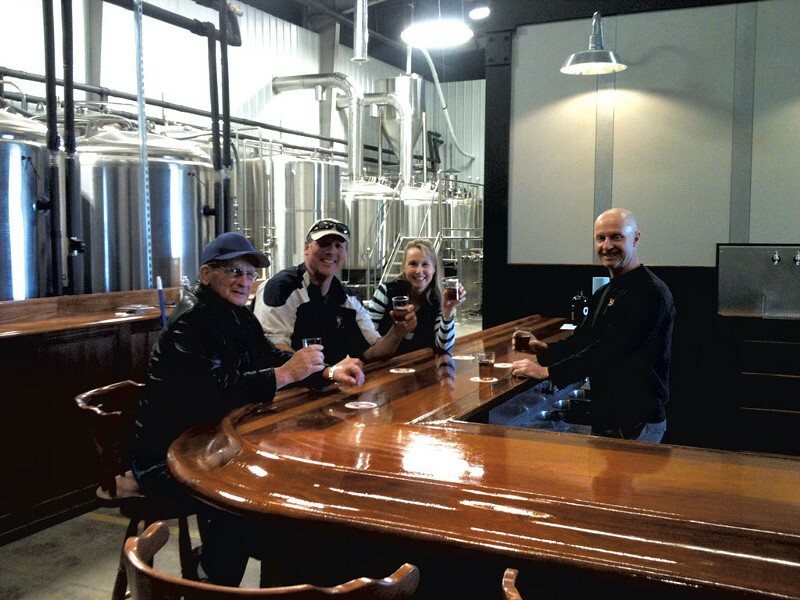 Co-owner Paul Hale says he's been home brewing since 1986 and met his partners years ago at Green Mountain Mashers, a local home brewing club. "I've been thinking about doing this for over 20 years," Hale says. So Queen City's repertoire runs deep. On Pine Street, Hale and partners Paul Held, Phil Kaszuba, and Maarten and Sarah van Ryckevorsel are producing 18 barrels at a time of Old World ales and lagers, making Queen City the latest brewery to break away from the hop-heavy trend that dominated Vermont brewing until very recently. "We're not leaning toward making the next double IPA or anything like that," Hale says. Instead, Hale and company pour a selection of beers harking to places like England (hello, ESB), Cologne (yes, Kölsch) and Antwerp (Belgian-style blond and amber ales are in the brewery's initial selection). "We want to make traditional beer that fits the style for what it is," Hale says. The brewers try to replicate old recipes as exactly as they can: When brewing a Belgian beer, lace it with yeast from Antwerp. For a Yorkshire-style ESB, the yeast is British, the malt Scottish. Queen City brewers even adjust the water for maximum regional appropriateness. "We're very fortunate here because Burlington's water is very soft," Hale says. "So you can just add [minerals] to it," rather than having to filter things out. If that sounds complicated, it's natural enough for this crowd: Hale holds a PhD in chemistry from Northwestern University, and partner Held matches that with a degree in molecular biology. "We're a pretty nerdy bunch," Hale says with a laugh, adding that they're happy to bring a little science into the brew haus to give Vermont something fresh. "[St. Amandus, named for the patron saint of brewers] is basically the beer of Antwerp, and you can't get it fresh here," he says. Queen City is changing that, with an eye toward quality. "We want to make classic beer styles that are harder to find, and do it well," Hale says. Find the beers at the brewery on Friday, Saturday and Sunday afternoons, on draft at a few Burlington restaurants in the coming week, and at the Vermont Brewers Festival July 18 and 19 on the Burlington Waterfront.